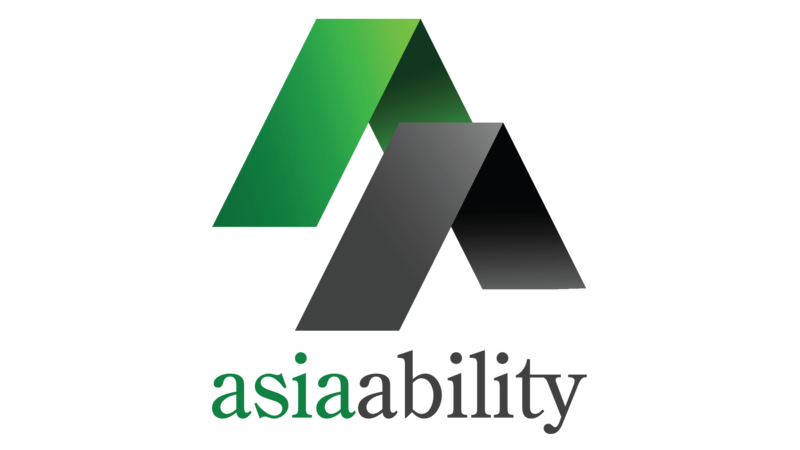 Asia Ability worked with Shell – the multinational supermajor oil and gas company and the fifth-largest company in the world (measured by 2015/16 revenues). Shell is active in every area of the oil and gas industry, including exploration and production, refining, distribution and marketing, petrochemicals, power generation and trading. It also has renewable energy activities in the form of biofuels and wind. 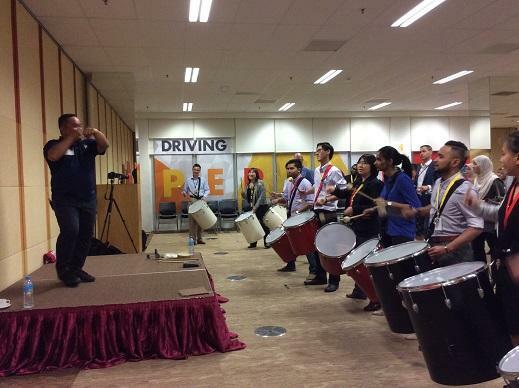 From the location of the Shell Excellence Centre in Cyberjaya Malaysia, Asia Ability facilitated BeatsWork – the most exhilarating teambuilding activity to sweep the world, for 75 participants from the Contracts and Procurement Division of Shell Business Operations in Kuala Lumpur. 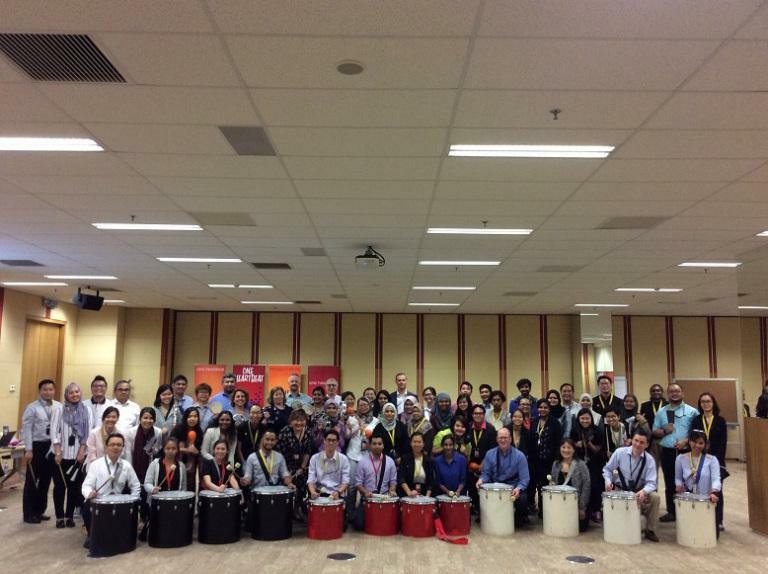 Using the infectious rhythms of samba, BeatsWork transforms a group of individuals into a giant percussion band – with each person playing their part, in time and on cue. 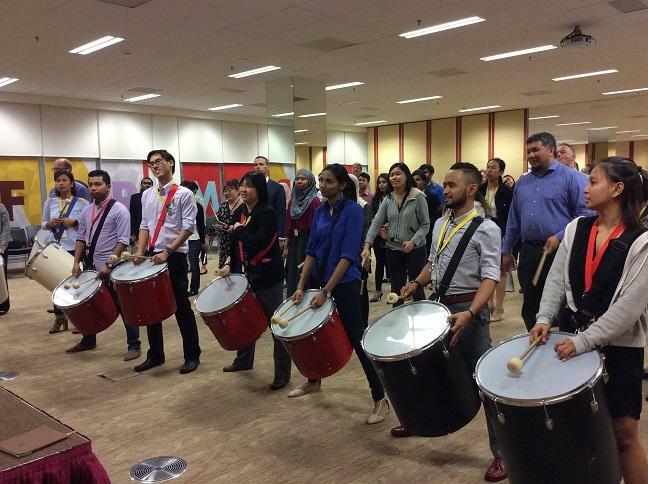 Starting in small groups led by a professional percussionist, teams are taught the basics of samba beats and breaks. Starting by drumming on their bodies, they soon move on to real instruments with each group learning a different instrument and rhythm. As confidence and ability grows, groups are brought together in preparation for a stunning and pulsating finale of epic proportions. 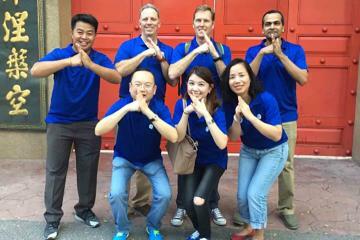 With BeatsWork, everyone is involved. 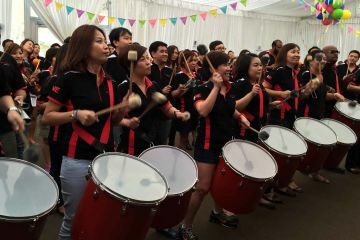 Even the most reserved characters are soon beaming from ear to ear as they stamp, beat, shake and drum in rhythm with their colleagues. 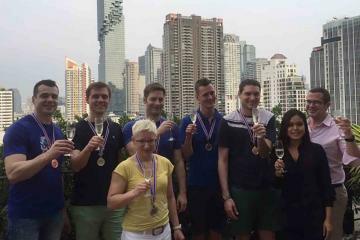 If creating a sense of unity and shared achievement is important to you, unleash your team on BeatsWork – it will bring out the beat in them. Learn more about BeatsWork here for your next meeting or conference event here.